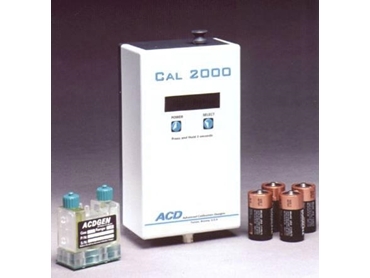 These gas generators provide up to 50 times as much calibration gas as a disposable cylinder at approximately the same cost. They have a built-in mass flow sensor that will automatically compensate for changes in altitude and temperature. This mass flow sensor together with the device's internal pump provides extreme flexibility for calibrating both diffusion and sample draw detection systems. The generators have a compact hand held design, are alkaline battery powered and have an automatic purge on shut down function. Their LCD display also allows field adjustable level (ppm) and flow rate.